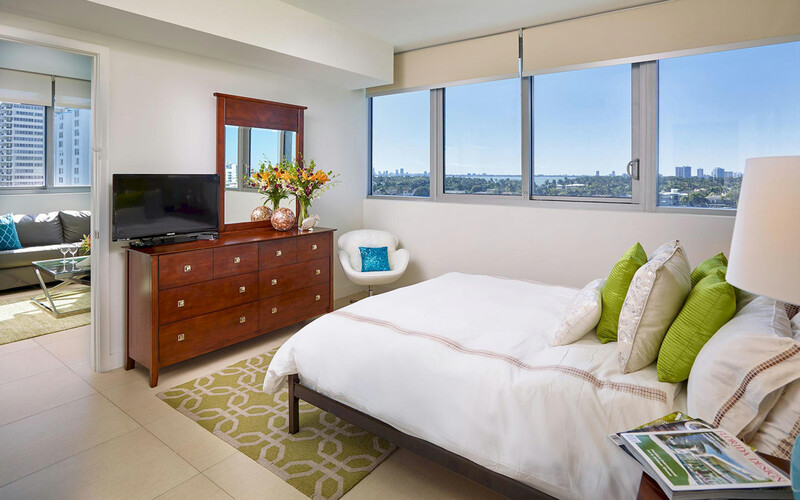 In the Deluxe Bay Front one-bedroom apartment suites at Churchill Suites Monte Carlo Miami Beach, located on the higher floors of this 18-story property, enjoy jaw-dropping views from floor-to-ceiling windows of downtown Miami at night, and beach views during the day. In the Deluxe Ocean Front one-bedroom apartment suites at Churchill Suites Monte Carlo Miami Beach, located on the higher floors of this 18-story property, the spacious and private bedroom with en-suite bath and walk-in closet is furnished with a King bed and direct access to the ocean front balcony. In the Ocean Front with Pool view one-bedroom apartment suites at Churchill Suites Monte Carlo Miami Beach, located on the lower floors of this 18-story property, the spacious and private bedroom with en-suite bath and walk-in closet is furnished with a King bed and direct access to the balcony which offers views of the pool and the ocean. 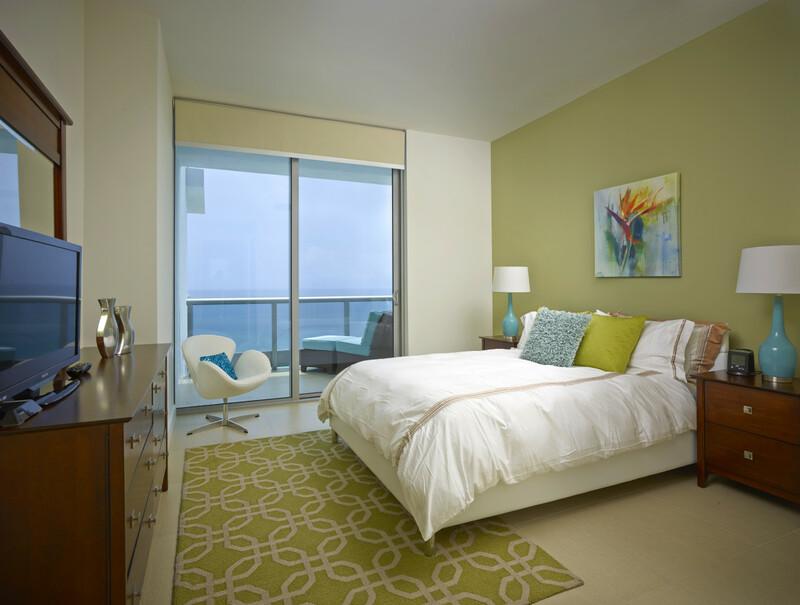 In the Deluxe Bay Front one-bedroom apartment suites at Churchill Suites Monte Carlo Miami Beach, located on the higher floors of this 18-story property, the spacious and private bedroom with en-suite bath and walk-in closet is furnished with a King bed and views of the bay and downtown Miami. 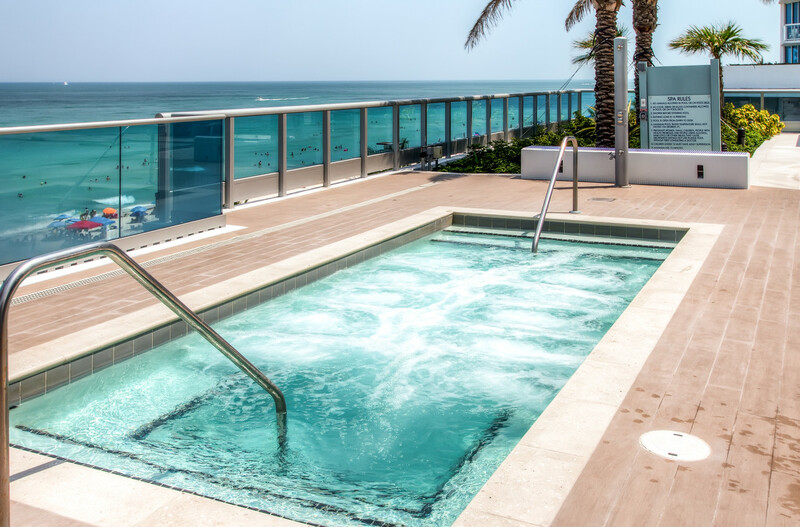 Enjoy sweeping ocean front views from the hot tub on the 5th floor rooftop pool deck. 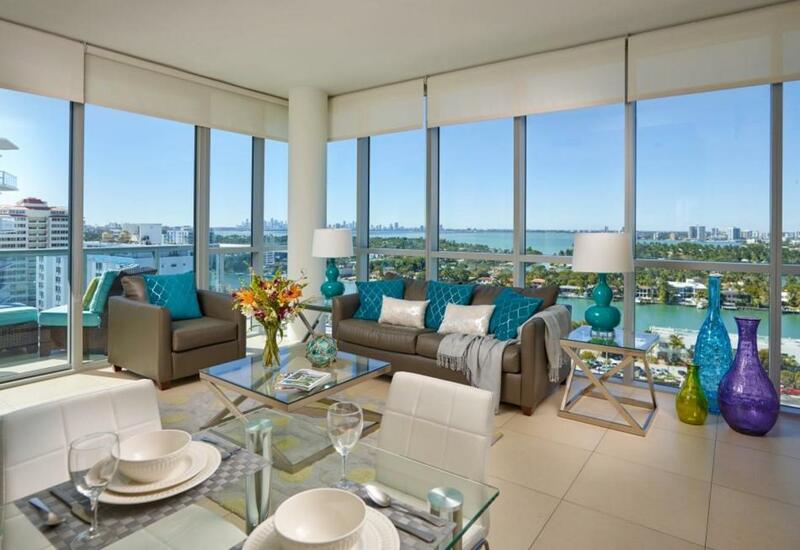 Sitting oceanfront on Collins Avenue, these luxurious vacation rentals at the brand new Monte Carlo are just minutes from South Beach, Bal Harbour, MIA and some of the area's best attractions. 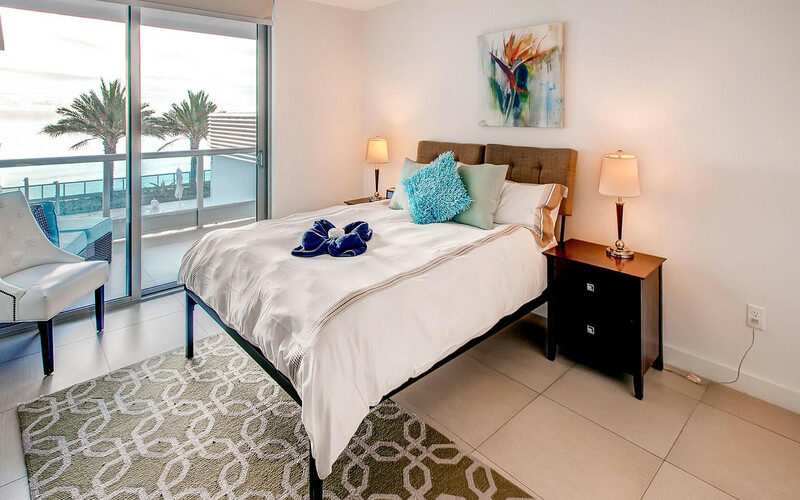 The spacious, fully furnished one-bedroom apartments feature either bay views, ocean views or oceanfront views from each apartment's private balcony. Fully equipped full kitchens and wireless Internet access are included. On-site valet parking is available for a fee. Enjoy direct beach access, outdoor pools and hot tub, fitness center and more. These apartment suites are ideal for tourists traveling alone, as a couple, or with families and business travelers.